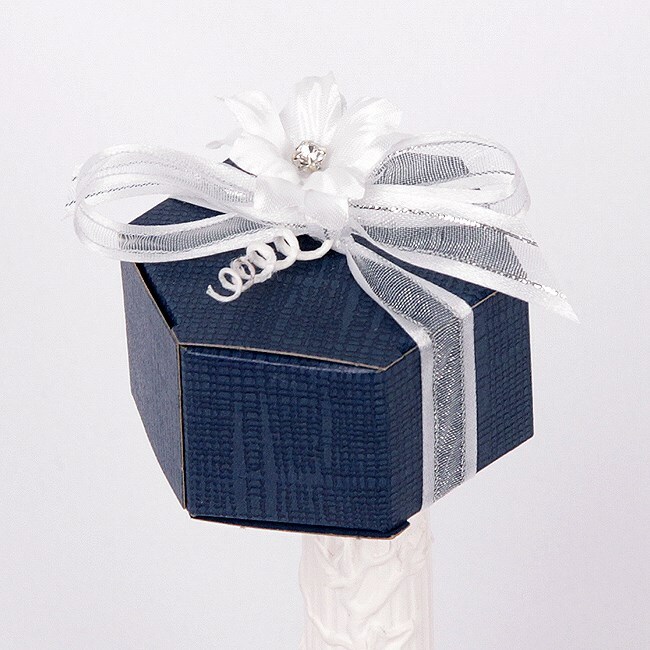 ​Navy and white are always popular colours for weddings and our navy silk margherita box is right on trend. The pretty hexagon box is trimmed with 2 white margherita flowers with diamante centres to add that special sparkle and finished with a white organza satin edge ribbon with fine silver thead. A truly impressive ready made wedding favour. Fillings of your choice from traditional sugared almonds or chocolate dragees to luxury chocolate hearts in a vast range of colours.